Enjoy playing live casino games at Ladbrokes casino and get a chance to win cash prizes every day. Just take a seat at Premium European Roulette or Original Roulette live tables everyday until 19 May 2019 and you may get cash prizes up to £500 everyday. 1000 Cash prizes will be given each day during the promotional period! So read below to find out more about this promotional offer to make sure you don't let this amazing opportunity slip away from your hands. Only real money players registered at Ladbrokes casino are eligible for this promotional offer. Each player can claim only one cash prize per day. If you are registered in the following countries you are excluded from this Cash Prize Promotion: Albania, Belarus, Czech Republic, Georgia, Hungary, Liechtenstein, Lithuania, Macedonia, Romania, Slovakia, Croatia. How Can I Join this Promotional Offer? 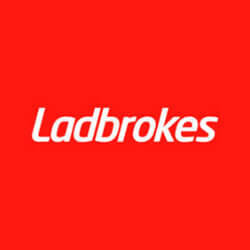 Login to your Ladbrokes casino account. Play eligible games viz Premium European Roulette and Original Roulette. If you are lucky enough you may win a cash prize of value between £500 and £5. The cash prizes will be added to your account before 11:59 pm GMT each day. Accept the cash prize within 48 hours. Repeat the same steps each day during the promotional period. This promotional offer is valid until 19 May 2019. The maximum and the minimum cash prize that the players can win with this promotional offer is capped at £500 and £5 respectively. Only the gameplay on Premium European Roulette and Original Roulette will contribute towards this promotion. Apart from Ladbrokes Casino bonuses & promotions, find other latest casino promotions ranging between No Deposit & Deposit Bonuses along with their bonus/promo codes here!